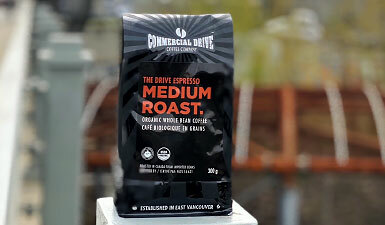 When Commercial Drive Coffee started up in 2010, they wanted to take Vancouver’s coffee scene in a different direction – away from over-roasted, acidic coffee and back to the smooth, European flavours you could find on the Drive decades ago. Today, their premier roasts will take you back to the Little Italy of years past, with the added benefit of socially- and environmentally-friendly processes that make this local Vancouver coffee staple even more attractive. Because the Commercial Drive Coffee Company is intent on bringing people together with the power of amazing coffee, they know that the impact of their business is inseparable from their impact on their community and the environment. 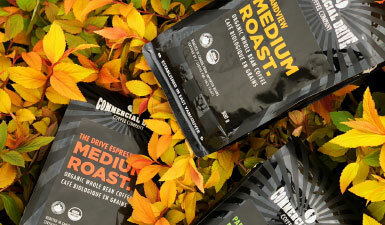 From the start, Commercial Drive Coffee has striven to be as socially and environmentally responsible as possible, and today the Drive coffee they offer is certified Carbon Friendly and USDA Organic, with their decaf blend created using the Swiss Water Process to avoid unnecessary chemicals and produce a great-tasting, natural caffeine-free coffee. 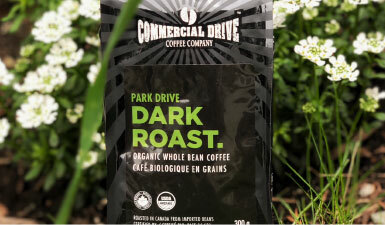 With their wide variety of roasts, ranging from medium to dark and espresso blends, Commercial Drive Coffee is sure to have a bean that hits the spot. Their blends tend toward a lower acidity than average, for that sweeter Old World balance that will take you back to your favourite European cafés. Take a little bit of Little Italy home when you brew with the Drive coffee beans, and savor the perfect balance of these delicious blends. 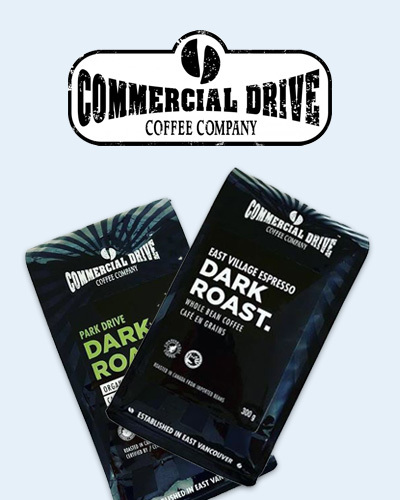 Whether you’re looking for top-notch locally-roasted coffee, certified organic beans, or want to reduce the environmental impact of your morning mug of coffee, the Commercial Drive Coffee Company has the perfect traditional blend you’re looking for. Shop our selection today for delicious organic, responsibly sourced and processed, carbon-neutral coffee blends ranging from espresso to decaf.